Beautiful! 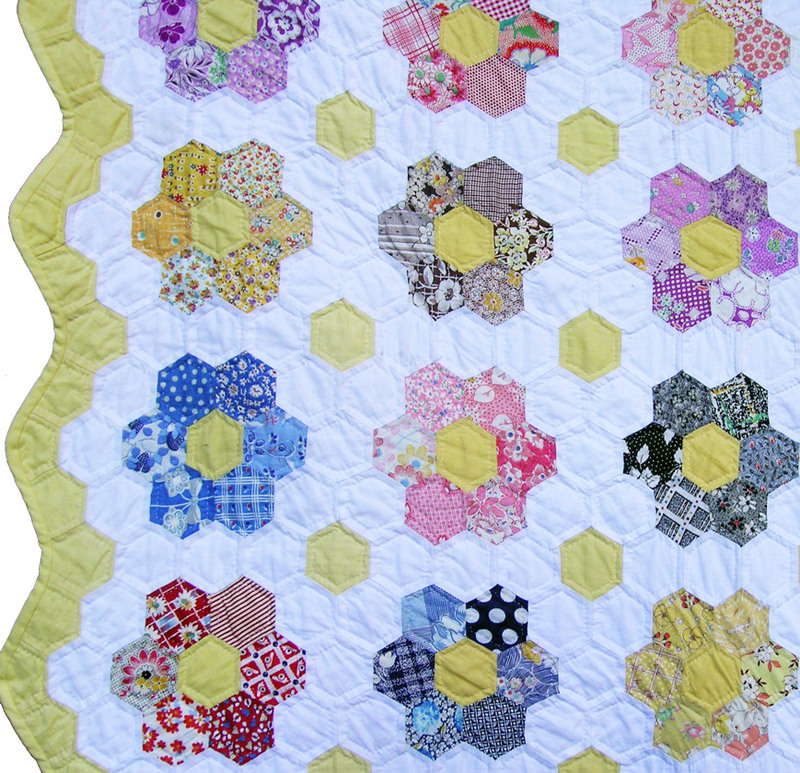 I could picture you cleaning, pressing and recutting the hexagons to a new correct shape. Oh, so much work. But so worth it! 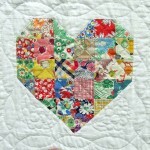 Your hand quilting is just wonderful! 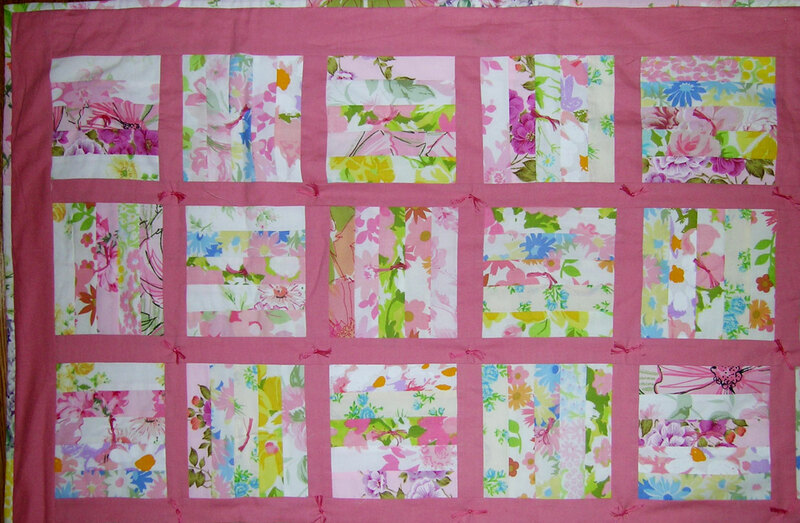 I am looking for a picture of a Grandmothers Flower Garden Quilt to post on my Flower Garden site. Yours is quite beautiful. 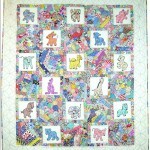 I would like to get permission to publish the picture with a link to your blog. If it is okay with you, please contact me by email or through my site. Pretty! and an inspiration for the one I’m working on! Martha! Thanks for this post, I just started pressing and basting my hexagons and I want to poke my eyes out. 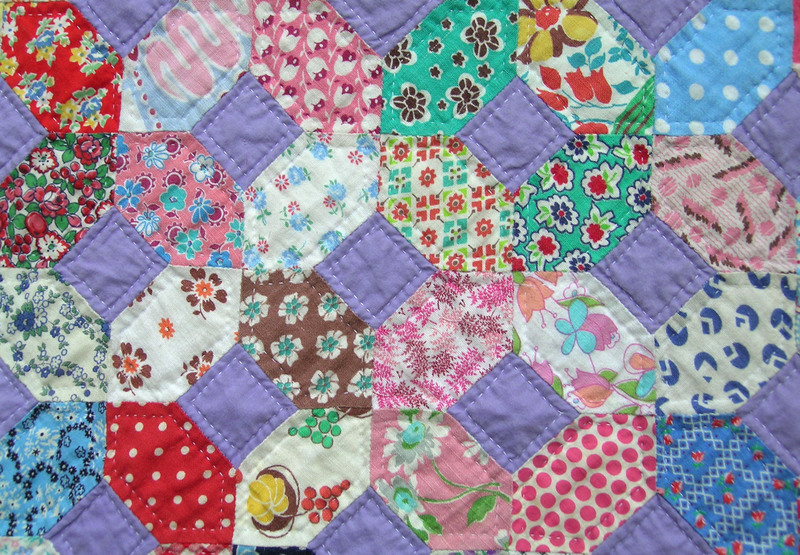 This is my first hand pieced quilt, I have a few questions about the running stitch method that would save me the basting step. Do you not press them at all? Did you put them together one flower at a time? I really don’t know what I’m doing here, any tips or websites you know of would be great to know. Thank you!! This is incredible! 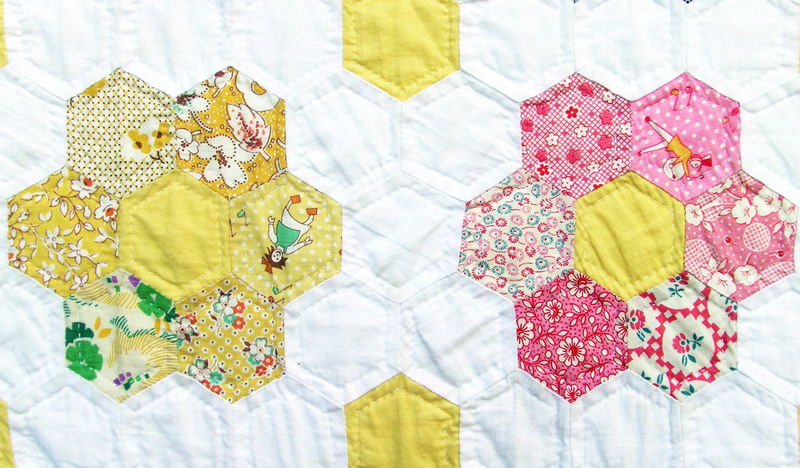 I love those yellow hexagons and the borders. 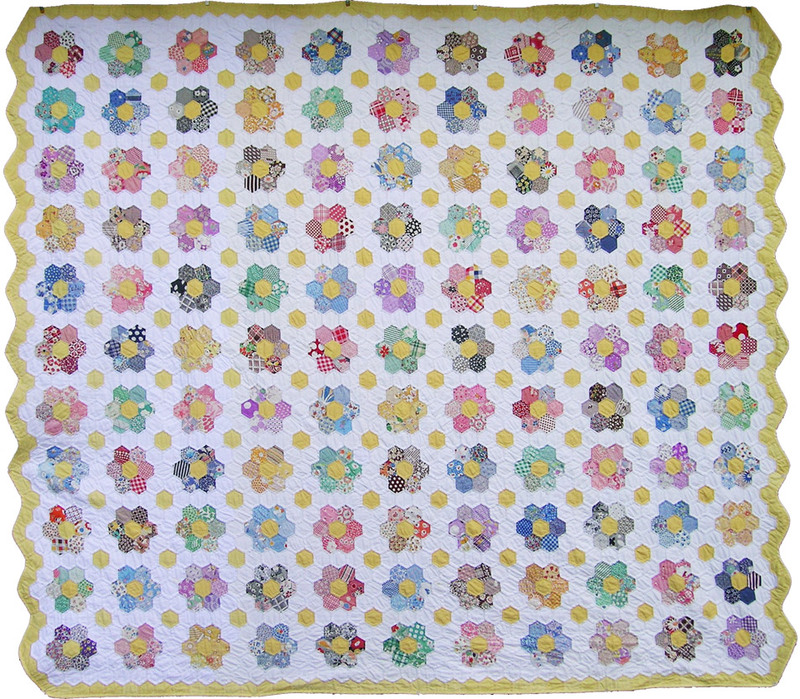 I love, absolutely love your Grandmother’s Flower Garden quilt! You have no idea how much I love it! 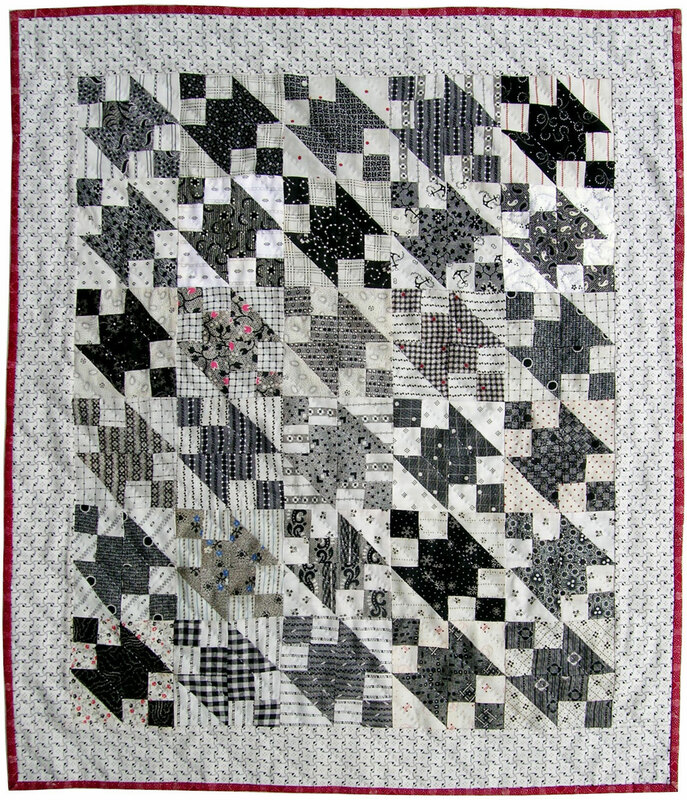 I’m a new quilter (less than a year), and enjoy making hexies and yo yos. 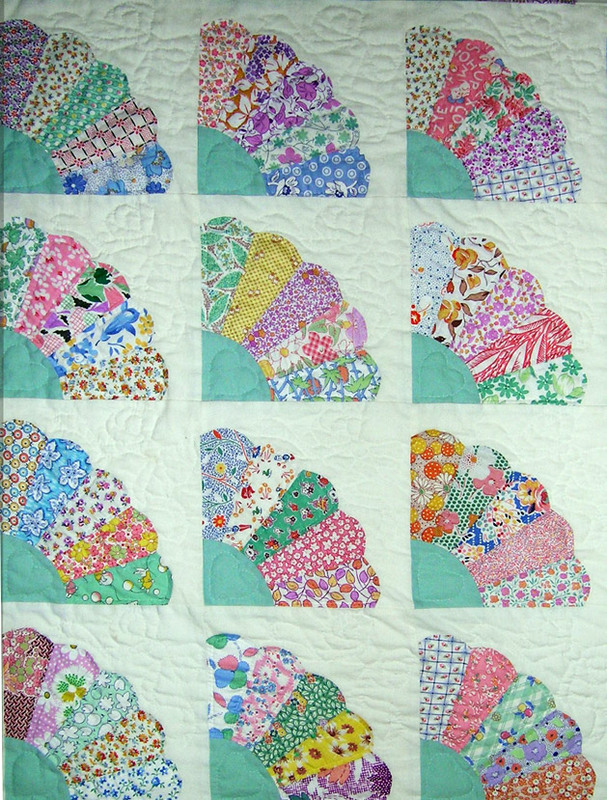 I’ve started a scrappy GFG quilt, but at this point, my flower petals are all the same. The yellow centers are also scrappy, but “read” as a solid yellow. The petals are all the same, but will probably have to be similar to yours as I go on. 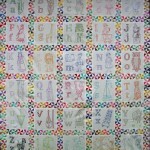 My white background will be “white on white” (patterned white), but may be scrappy as well. I hope it works out. 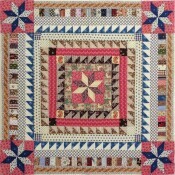 I’ve read your blog about this quilt and actually studied your quilt several times. It’s so cheerful it makes me smile just to see it! Thank you for posting such a beautifully inspiring work of art and sharing your talent! 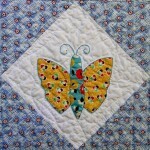 You have made a great positive impact on my quilting! Thank you so much! Love this layout. 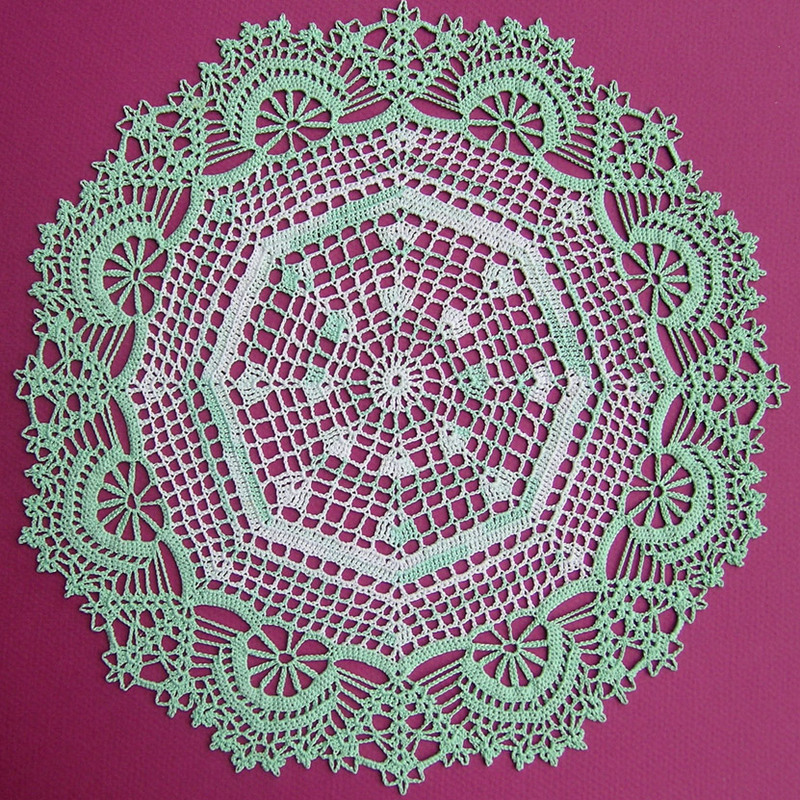 What size Hexies did you use? 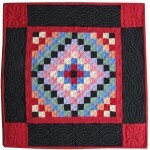 Your quilt is an inspiration! Wondering how this could be 86×77 when I counted 11 rows by 11 rows….doesn’ t that equal a square? What size hexagon did you use? 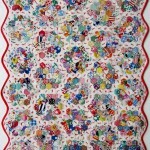 It’ s a lovely quilt! 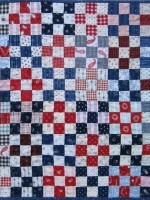 This quilt is beautiful and reminds me of one I have. 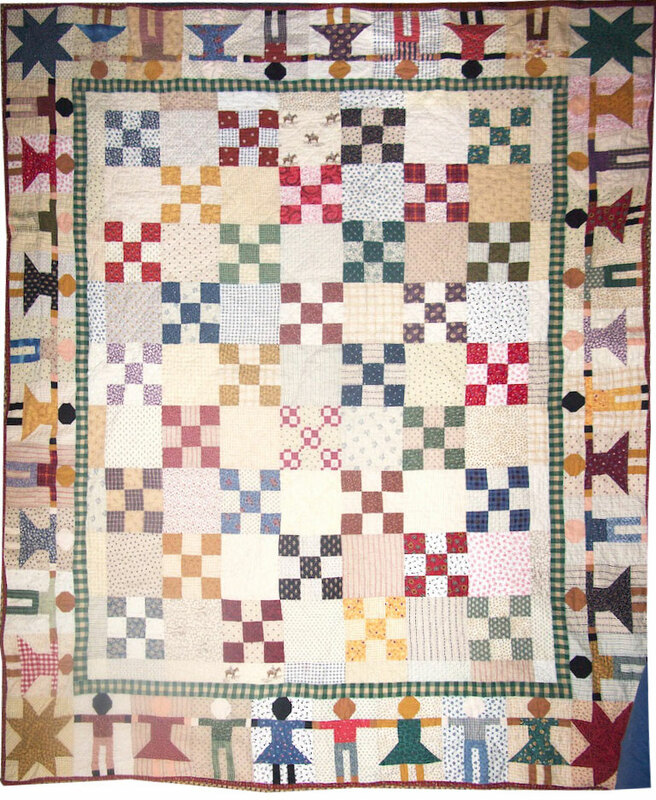 I have a quilt my great grandmother made. 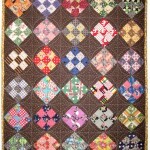 My great grandfather cut out all of the hexagons and great grandma hand sewed and quilted every stitch. I estimated that it is 100+ years old. It is a work of art. The top and bottom are straight, but the sides are not due to the hexagonal shapes. It does not have a border like yours does. I would like to hang it, but I am not sure how it will hang. I know I can hang it from a rod, but I am concerned about the sides. Do you have any suggestions?